IRVINE, Calif. – Bitvore Corporation, a developer of intelligence gathering and big data mining systems, today announced it has closed a Series A funding round of $4.5 million. Led by prominent Southern California tech investor Yuri Pikover, the round also includes nearly $1 million raised from crowdfunding sources. Bitvore develops near real-time automated intelligence gathering systems that scour public and private data sources like websites, blogs, social media and email to unearth information businesses can leverage to their advantage. 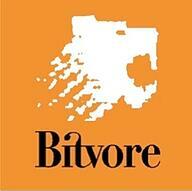 Bitvore is a cloud-based service that delivers tailored intelligence gathering for businesses. Bitvore’s data mining engine continuously consumes massive volumes of changing content from structured and unstructured data sources such as websites, blog postings, email and Twitter, structures it by concept and context and presents it to the user based on his or her preference. Unlike other systems, Bitvore was developed so that non-technical business users can tailor and use the service within a couple of minutes without involving IT staff or other technical personnel. In January the company released Bitvore for Munis, a service designed specifically for investment banks and hedge funds looking for an information advantage in municipal bond markets which are frequently behaving more like equities. The system uses nearly 200 material event criteria that impact credit worthiness to cull information from thousands of news, government and social media sources and alert users in near real-time. Bitvore is also working on similar services for competitive intelligence, product research and development, and sales intelligence.